Q: I’m confused. What are the differences between “hot lights” and “strobes”? Some form of this question has come up in almost every lighting seminar we’ve taught. With the convergence of still and motion photography — with the morphing of DSLR’s into de facto video cameras, this question is quite timely. As I’ve mentioned before, I learned my lighting on film and television studio sets — which, for obvious reasons, used hot or continuous lights, exclusively. 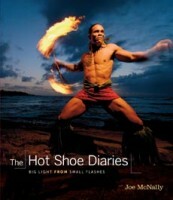 When I reentered the world of still photography, I set out to master the use of strobes and flash units. Today, I use both — so I thought I might best answer this question by comparing the strengths that each brings to the table and the contexts in which each might best be used. First, let’s make sure we don’t get hung up in terminology. Traditionally, the term “strobe” has been used to describe the device that creates a “flash of light from an electrical discharge”. In the old days, strobes were also referred to as “studio lights”; however, that label no longer fits as there are now outstanding portable strobe units for use both in and out of doors — like the Profoto 600BR I’ve written about and use. And, don’t forget our hot shoe flash units which, too, can be used in and out of doors also fit the definition. In the old days, “continuous” lights were called “hot lights”. For good reason. They generated a lot of heat, quickly making the space in which they were being used, tropical. And, they were very hot to the touch. So hot, that I’ve got a pair of asbestos grip gloves that I wear when I’m using the old lights in my studio. These were the lights used by my photography heroes, Clarence Bull, Yousuf Karsh and George Hurrell — the pioneers of the Hollywood glamour photo movement. I bought a set of four so that I can try to emulate their work. Things have changed. the new “hot lights” aren’t hot. And, they’re being called “continuous lights” so as to distinguish them from the hot tempered, power consuming beasts of the past. Actually, any light that stays on is a continuous light — and videographers and photographers with varying budgets are using everything from regular household light bulbs — be they tungsten or fluorescent — to those halogen construction lights you can get at Home Depot or Lowes. Want a more “dedicated light”? There is a new generation of top end, continuous lights for photography and videography priced in ways that don’t put deep dents in our budgets. Shooting Video: By definition, hot lights, or continuous lights have to be used for shooting video? Why? Because of the continuous action the camera is capturing. No way a strobe can do that. And, this is probably the only area in which there is a clear, inherent advantage between the types of lights we are discussing. In almost all other areas, one can use either continuous lights or strobes. There are some differences in how one uses them but both will get the job done. Metering: Continuous lights are like “ambient” lights; they are always on; so we meter them using the “Ambient” setting on our meter (On Sekonic meters, that’s the mode represented by the “sun”). We meter our strobes using the “Flash” settings (on the Sekonic one of the lightning bolts). To measure our flash units, they have to be triggered — either by the meter or some other device. 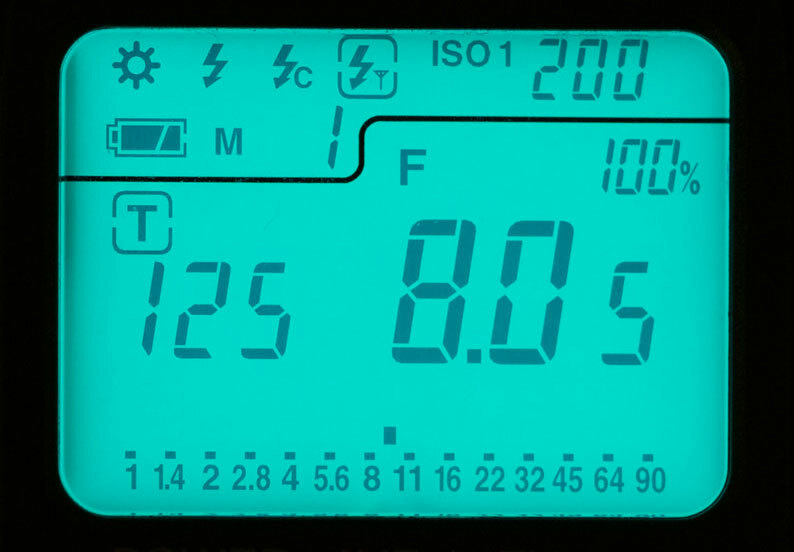 The Sekonic meters have three modes for flash metering: (1) the lighting bolt with the “T” — indicates that the meter contains a transmitter that will fire any light that contains or is connected to a Pocket Wizard; (2) the lightning bolt with the “C” is for use when we use a cable connection between our meter and our lights; when we push the metering button, the light fires; and, (3) the lonely lightning bolt, the one without an initial, is used when one triggers the lights by some external means not connected to or caused by the meter; perhaps the best example is the way I fire my D1’s with Profoto’s new “Air” technology; I set my meter in the receiving mode, push the Air button to trigger the lights, and the meter grabs a reading. 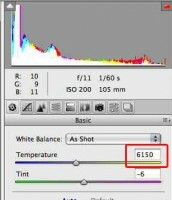 White Balance: Most flash units are balanced to be close to “daylight” settings, which is usually somewhere between 5400-5600 Degrees Kelvin. The WB “Flash” setting on most cameras is in that range. In the old days, the hot lights all contained Tungsten (Incandescent) bulbs with a rough range between 2800-3200 Degrees Kelvin, often represented on camera WB screens as a light bulb. Today, we can get continuous lights balanced to most color temperatures and we set our cameras accordingly. The Role of the Shutter Speed and the Aperture Setting: The general rule is that the shutter speed controls the ambient light to reach the sensor and the aperture controls how much of the flash is recorded. Let’s apply the general rule to our current discussion of the differences between lighting with continuous lights or strobes. Let’s go into the studio first — and let’s assume we are lighting with strobes. In this situation, the speed of the shutter is almost irrelevant. Why? Because the flash duration, which will be the source of light on the subject, is so fast, and it is on and off so quickly, that it really does not matter how long the shutter stays open; there will be no meaningful difference between an exposure shot at 1/30 or 1/250. Think about it this way. Let’s assume we are in a completely dark room and that the only light that will hit the subject will be from the strobe. If the room is, indeed, light tight, we can set a 2 minute shutter speed; if the only light during that 2 minutes is from the strobe, the only light to hit the sensor will be from that strobe — no matter how long we hold he shutter open. OK, so most studios are not light tight; and sometimes, we use our overhead (tungsten) lights while we are shooting. My experiments have shown that the overhead lights have no impact on exposure in reasonable shutter speed ranges, like down to 1/15 second. In the studio, with strobes, it is the aperture setting that determines how much of that fast burst of light will hit the sensor. The bigger the hole, the more of the flash that gets in. It’s that simple. That is why when we measure and set our strobes, we are always measuring aperture values and setting our cameras’ apertures accordingly. The general rule does not apply when we are using ambient light AND continuous lights are ambient lights. So, in this case, both the shutter speed and the aperture are used, in conjunction, to control the light to the sensor. Longer exposure: more light. Bigger aperture opening: more light. Shutter Speed Revisited — Lens Movement: With strobes, lens movement is not a problem — even when hand holding a long lens at a slower shutter speed. Once again, the light influencing the sensor is so quick that it is like shooting at a very fast shutter speed. However, just as it is outdoors in daylight (continuous or ambient light), shutter speed is important when hand holding lenses using hot lights. Is this a problem or reason to choose one form of lighting over the other? Absolutely not. Just adjust accordingly. Shots that might be hand held with strobes can be achieved with hot lights by using a tripod or upping the shutter speed. Shutter Speed Revisited — Stopping Subject Motion: A corollary applies when we try to stop subject movement in a frame. Let’s say we have a model on a trampoline and we want to capture the “freedom moment” of flight. With strobes, we can use slow shutter speeds confident that the flash will freeze the subject, in air, at the moment we fire it. In fact, some strobes are so fast that they can stop bullets mid air. With continuous lighting, we have to use a fast shutter speed to stop the motion without blur. Shutter Speed Summarized: The key is to simply be aware of when shutter speed matters and when it does not. In my shooting, I move back and forth between using strobes and continuous lights. It took a few gray moments — slow shutter speeds with continuous lights — before it sunk in: I have to make conscious choices and changes when I move from one light source to the other. Do I favor one light source because of this? No. Each has its place. Each brings a different artistic dynamic. I just have to adjust my head as well as my camera to get the most out of either. Controlling the Quantity of Light: Most strobes allow finite adjustments of the quantity of light over a range of f/stops. The better the lights, the more precise the adjustments. And, the better the lights, the more range of adjustments. The range is often discussed in terms of how many f/stops of adjustment the light provides. For example, my new D1 500’s offer 7 ranges of stops. On a 500 watt light, that is: 500, 250, 125, 62, 31, 16 and 8 watts — and all places in between. I’ve written before that the greatest mistake most of us make is to buy lights with too much power and too little adjustment downward. 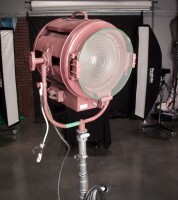 An 800w light with 3 stop range gives us: 800, 400 and 200 watts. Why do we care? Because, with too much light, we cannot use the lower apertures like 2.8 or 4 to get the limited depth of field and out of focus backgrounds we often desire. More often than not, less is more. To adjust the early hot lights, and some of the current version, you have a couple of choices. First, you can change the bulb to one with less or more power. And, second, you can throw a screen in front of the light as I wrote about in my article on the RoadRags. Some of the newer generation of continuous lights have included rheostats to dial the lights up or down. And, some use multi-bulb heads; pull a bulb out of a 3 light fixture and you’ve reduced the power by 1/3. WYSIWYG (What You See Is What You Get) — A Big Advantage of Continuous Lights: With continuous lights, the camera sees what you see. Well, almost. The human eye is so much more sophisticated than the best lens and sensor that it can see gradations that the camera cannot. But, by and large, you see where your light and shadows will fall. Yes, studio lights have “modeling lights” but even the best are not as accurate in terms of output predictability than is the continuous light. And, lest we forget, the modeling lights in most strobes are tungsten bulbs — a different WB temperature than the strobe itself; so if you are shooting live view, the modeling light will throw a color cast that will not reflect what the actual image will look like. Most of the still life or product shooters I know use continuous lights most of the time. So do I when doing those kinds of shoots. However, as I will discuss, later, that does not mean that you cannot do this type of shooting with strobes — you simply use your strobes as continuous lights by shooting using the modeling lights. 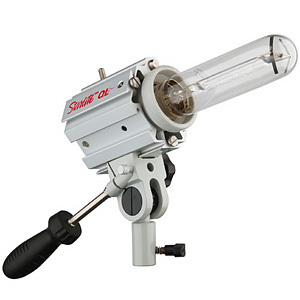 A strobe, with its modeling light on, is a continuous light so long as you don’t fire it. More on this, later. Another question I get alot is: “Why don’t I just get a bunch of speedlights and use them as studio lights?” I’ve got 4 Nikon SB800’s and I’m about to buy an SB900. They can be used as “studio lights”, but there are a couple of caveats to consider. First, they don’t have the power of studio strobes or most continuous lights. And, when compared to most studio strobes, they do not recycle very quickly. But, the biggest disadvantage most of us face when using these lights is that they are the farthest thing we can get from WYSIWYG. Why? Because “hot shoe” flashes not have actual modeling lights; at best, my Nikons will throw a fizzle of light to let me know where they are aimed. How important is WYSISYG? To someone like Joe McNally, probably not very important. He can “see” with a bigger eye than most of us and will not miss the modeling light. Most of us will. But this, too, can be overcome by learning and experimentation. OK, you’re probably thinking “Almost 2,000 words — are you going to tell us which is best?” Yes I am. Strobes are best for some things and continuous lights for others. It’s that simple. And, that’s why I have both in my collection of lights. What Do I Use and Why? Profoto Strobes: All of my strobes are from the Profoto line. 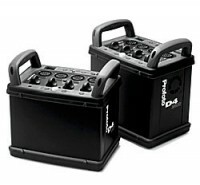 I have a D4 Power Generator, 4 heads, and a Profoto Ringlight (which must be powered by a generator or battery pack.) I’ve reviewed this set up, before. Main advantage — the heads are light, can be hung out of reach and turned on or adjusted from the pack or my laptop. This is a workhorse generator. It recycles quickly. It is the backbone of my lighting system. I’ve also got a Profoto 600BR — a battery pack that will power both the Ringflash and the heads. The new kids on the block are my 4 D1 500w Airs. These are “monoblocks” — each light is a self contained unit, power, controls and fan in one package. These units are truly portable; in fact, I bought them in a kit that includes stands, umbrellas and a rolling case. Some say the advantage of monoblock’s are that if one breaks, you still have the remainder working. If my generator breaks, I cannot use any of those lights. Fortunately, the D4 is a solid unit. I’ll be doing some in depth reviews of the D1’s as soon as I have more experience with them. Having shot with them twice, I am very impressed. Why do I like my Profoto lights? Because they are consistent — across the lines — their color temperatures are all within 30 Degrees Kelvin. They are consistent in duration. Although the power pack recycles a little quicker than the mono’s, it isn’t that much quicker — the mono’s are fast. I didn’t start out with these lights. Like most of us, I started out with less expensive lights. Good lights from a major manufacturer, but less expensive. Here are the mistakes I made. First, they were not consistent — the white balance for each head differed significantly from the others. And, they had a very narrow range of adjustment — not one was more than 3 stops. I had trouble mastering them from day one. Could I use them now? Sure. With all I’ve learned and all of my experience I am now almost good enough to work around their flaws. But, I was pretty frustrated when I first started out. That’s why, in class, I recommend that the students start out with fewer very good lights instead of more average lights. There is a lot we can do with one or two lights and a reflector. I think it better to have 2 high quality lights than 4 moderate quality lights. The idea is to add more quality lights when we can afford them. I made this same mistake with lenses, too. Bought more of the wrong ones only to sell them to get fewer of the right ones. But, that’s a story for another day. Continuous Lights: I’ve got three different types of continuous lights in my collection. My Homage to the Old Days: When I found a place in Burbank that was “restoring” the studio lights of yesteryear, I bought 4 of them — one Mole/Richardson 412 and 3 Strands. 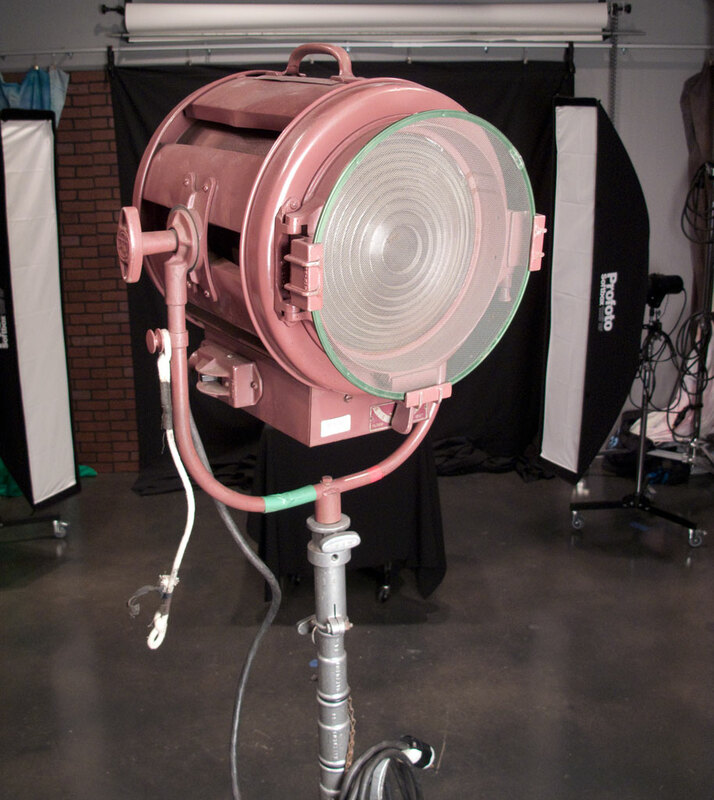 All are adjustable Fresnel lights. What that means is that I can dial in the size of the beam from one that is tightly contained to one that has a lot of spread. With the availability of the modern continuous lights, why did I buy them? Romance. Pure romance. And, a bit of nostalgia. I think they are cool. The Mole came from Disney studios. The Strands from a rental house. Just think of what they’ve probably seen. And, they are very functional. I’ve used them in many ways — from hard light portrait shots to background lights. They bring a very special energy to a shoot. My Recognition of the New: Recently I’ve gone a bit more modern — I got a Photoflex Starlite QL OctoDome Kit. Much lighter, totally mobile, easier to use, less heat — the right way to do continuous lights. The kit comes with two bulbs, a 1000w and a 500 w, both of which screw in like regular light bulbs. I’ll do a full review of these lights, soon. My Third Set of Continuous Lights? My Profoto strobes. My strobes? Yes, my strobes. I just use the modeling lamps — continuous tungsten light. 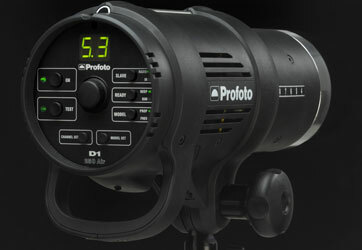 One smart thing Profoto did with the new D1’s was to include 300w modeling lamps. That’s a lot of light. And, I can use all of my Profoto LightShapers — soft boxes, grids, reflectors, snoots, barn doors, with them. No duplication needed. I’ve used my Profoto’s to light most of the video I’ve shot in my studio for the last couple of years. The nice thing about having these choices is that because they are all different forms of the same tungsten light, I can mix and match them at will. And, I do. The Bottom Line: Light is light. Be it the sun, a hot light or a strobe, we can accomplish our goals if we understand the differences between the sources and how to control for them. Think you need a lot of lights to do a portrait? Here’s a video from Tony Corbell that shows us how to shoot with one light. Steve, Nice article explaining the differences between strobe and continuous light. I find that professional studio strobes work well in the typical portrait studio. The subject matter warrants strobe light when photographing small children because children have a tendency to move around alot in a session. Strobes are nice when you are photographing a large group and when smaller apertures are needed to keep everyone in focus. Continuous light is wonderful in a commercial studios for still life work. I hope to work with fluorescent light soon for studio work. The think the session can be a bit more calm. Personally, I do not like strobes popping in my face when I am having my portrait taken and we as artist need to be sensitive to the subject/client. These are three areas in which many photographers choose to use continuous lighting rather than strobes. I should have included them in the article. They say that one thing that characterizes top models is that they can look directly into strobes, up close, and not blink when they fire. I’ll never be a top model. I always blink. And, some who shoot kids and animals tell me they use continuous lighting for the same reason.